From all indications, the several investments of the Lagos state government in the tourism sector is steadily but surely paying off. For instance, according to reports, activities within the tourism sector contributed about N800billion to the State’s Gross Domestic Product (GDP) in 2017. Similar in a recent statement, the state Commissioner for Tourism, Arts and Culture, Mr. Steve Ayorinde, revealed that the tourism sector recorded major success in the last quarter of 2018. 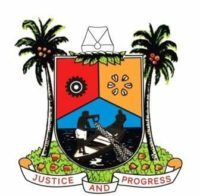 According to the Commissioner, developments and details of activities as keenly observed by the Lagos State Government captured total spending in excess of N50bn in cash transactions, especially in weeks preceding and following the Yuletide season. Interestingly, this development seems to be following an already established one, as similar trend was recorded towards the last quarter of 2017. According to a report, a large chunk of noticeable spending in the last two years in the sector transpired in hotel lodgings, local in-bound flights and taxi/chartered transportation, alcohol and beverage consumption; culinary business; visits to resorts, parks, clubs and lounges, live theatre and cinemas; concerts and clubs as well as ancillary businesses like fashion and clothing, kiddies’ games and toys, and private security guards, which are all now part of the tourism and entertainment ecosystem. No doubt, this latest surge in economic activities in the sector is an indication that recent efforts by the state government geared towards strategic development and growth of the sector are, after all, not in vain. Of late, the state government has demonstrated sufficient capacity to explore the limitless potentials of the sector through deliberate interest in and commitment to the development of infrastructure, security and ideas that impact positively on tourism, entertainment and shopping. Naturally, global top players in the tourism industry are intensely observing development in the state tourism sector. For instance, a report in the British Daily Mail of April 2018 listed Lagos along with Nairobi, Kenya as the top non-European destinations among British travelers planning for summer holiday. Similarly, the MasterCard Global Travel Index released in October 2018 categorized Lagos as the most visited city in sub-Saharan Africa in 2018. To sustain current momentum in the industry, in January 2018, the state government released the innovative Calendar of Arts and Culture events purposely to help visitors from across the world in planning their itinerary within and outside Lagos. The Calendar, with a comprehensive guide of festivals and art events available in each month of the year, is, without a doubt, quite instrumental to recent boost recorded in the sector. An integral part of the strategies being deployed by the state government in developing the sector is the improvement of Lagos night economy. New research from across the world has indicated that many cities, over the past two decades, have deliberately put in place a strategy to run a 24 hour economy. In major cities of the world, socio-economic activities take place 24 hours around the clock. A 24 hour economy is one in which socio-economic activities do not halt at night. The hospitality and entertainment industries, in particular, thrive better in a 24/7 economy. Presently, Lagos boasts of a relatively thriving night economy. In terms of crime management and security, night activities in Lagos have become relatively stable. Today, if compared to cities like Cairo, Nairobi and Johannesburg, the security indicators for Lagos are high up despite the obvious fact that there is still work to be done. Cheerfully, the state government is not resting on its oars as the long term plan is to create a vibrant and safer Lagos that offers something for everyone – from a street bar with live music, a mechanic service, fashion businesses, to an all-hours bookshop. In the next ten years, it is expected that the state’s economy will be transformed away from a focus on younger people and entertainment. It is hoped that 40% of people taking advantage of the improved 24/7 activities in the state will be aged over 40 and that 40% of operating businesses at this time will be chiefly anchored on formal business concerns. This is why the state government is encouraging a larger variety of retailers and attractions to stay open late, to broaden people’s choices of things to do at night. By 2025, the state hopes to double its 24/7 economy turnover and increase employment by 55% through the creation of several new jobs. As previously affirmed, the fresh impetus being witnessed in the tourism industry is a reflection of deliberate tactics evolved by the state government. For instance, in a bid to further explore the State’s tourism potentials, the state government a first-ever Tourism Summit in April, 2018. With the theme: “Destination Lagos: Towards a Sustainable tourism-driven economy”, the Summit major paper was delivered by Professor I. A. Ayodele of the Department of Wildlife and Ecotourism Management, Faculty of Agriculture, University of Ibadan, while Professor Pat Utomi, of the Lagos Business School, talked on “Financing tourism, the paths and possibilities for Lagos State”. The summit attracted the former President of Ghana, John Mahama, who delivered the keynote address; the Minister of Information, Culture and Tourism, Alhaji Lai Mohammed; Aare Ona Kakanfo of Yoruba, Chief Gani Adams; the Director-General, Nigeria Tourism Development Corporation (NTDC), Folorunso Folarin Coker and other distinguished personalities. A significant outcome of the Summit is the making of a 15-20 years tourism master plan that will steer the tourism potentials of the state. The master plan, which was designed by Messrs Ernst & Young, focuses on culture and heritage, film, art and entertainment, business tourism, nature and adventure, medical and wellness and beach and leisure. The strategic document, which will soon be unveiled by the state government, is poised to transform the vision of the state in becoming one of the foremost tourism destinations in Africa. There is potential billions of naira in revenue that Lagos State could earn in the next several years, baring the successful implementation of the plan. From the point of view of the nearly $7trillion that is supposed to be earned from tourism, with the initiative of the tourism roadmap and several other strategies, Lagos State is definitely positioning itself as a favourite destination for tourism and invariably a huge beneficiary in the massive global tourism income. Cheerfully, the state is currently upgrading and expanding critical infrastructure as a way to really catch in on its enormous tourism possibilities. With the idea of its tourism roadmap and many other such positive indicators, Lagos is definitely positioned, not only to explore its huge tourism potentials, but to benefit immensely from the global billion dollars tourism earnings. Ogunbiyi is of the Lagos State Ministry of Information and Strategy, Alausa Ikeja.